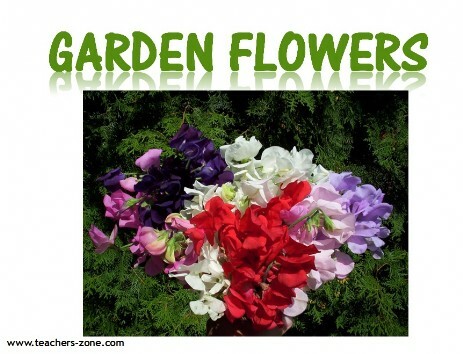 Introduce garden flowers with flashcards which contain labels and check the vocabulary with picture flashcards. Vocabulary: betony, tulip, narcisus, lily, giant onion, water lily, geranium, rose, lavender, orchid, echinacea, lilac. To check the vocabulary use garden flowers flashcards without labels.